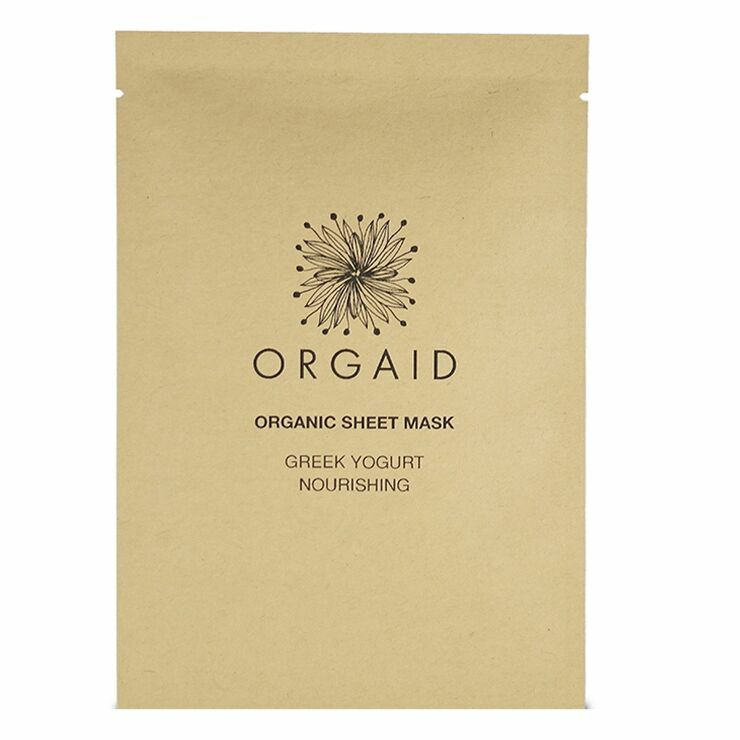 Deliver a feeling of nourishment and nurturing to skin with Orgaid Greek Yogurt & Nourishing Organic Sheet Mask. Greek yogurt is a gentle and effective way to make skin feel super smooth, while diminishing the look of sagging and puffiness. Aloe vera provides a feeling of light moisture and skin soothing, and botanical extracts bestow a healthy, balanced appearance. 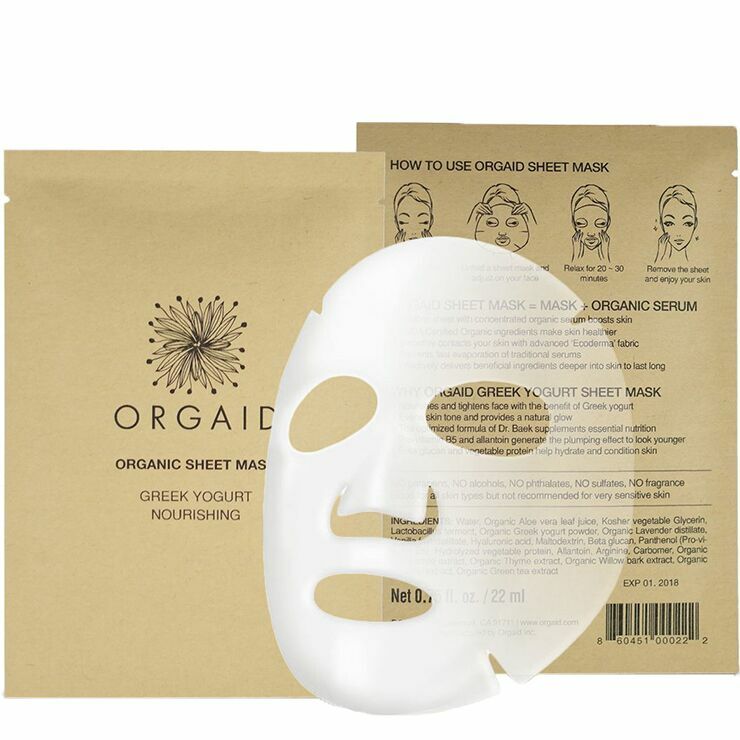 Apply Greek yogurt face mask to clean skin and relax for 20-30 minutes. Remove the mask. Use regularly for a feeling of skin smoothing nourishment, and a healthy, glowing appearance.